Check out our New Harvest Collection Here. Pine Crafter Furniture is a family owned and operated furniture manufacturing company. 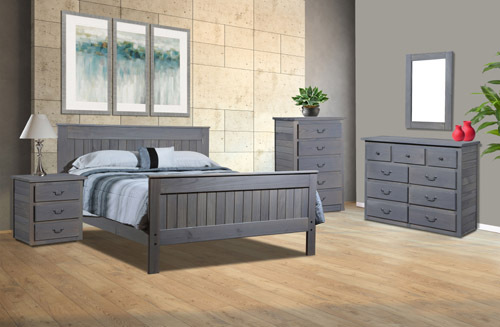 Our rustic pine wood product line includes bunk beds, loft beds, captain beds, case goods and more. Our American made products are sold to furniture stores and distributors throughout the United States. Everything is manufactured and shipped from our factory in Haleyville, Alabama. 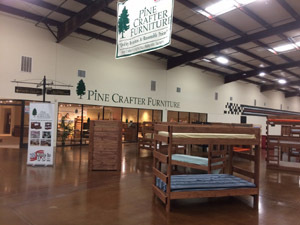 At Pine Crafter, we are committed to providing our customers with quality furniture, fast delivery and excellent customer service at the lowest price. If you would like more information about our products, please contact us or visit us at a furniture market near you. Notice: No Direct Sales to the Public. If there are no stores in your area that sell our products, please ask them to contact us about adding Pine Crafter to their product line. Realtree® is a trademark used under license from Jordan Outdoor Enterprises, Ltd., by Pine Crafter Furniture. Copyright ©2003-2018 Pine Crafter Furniture, Inc. All rights reserved.